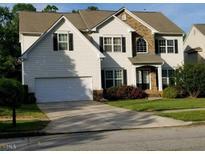 Find Locust Grove, GA Homes for sale. View Photos, Maps and MLS Data Now! 31.59 Acres,Home Also Has Half Basement ,Great Location In Locust Grove,Fenced & Cross Fenced Good Pasture,Partially Wooded, Pond,2 Out Buildings 1 Quansit Appx1200 Ft,4 Car Garage Approximately 1500 Ft Convenient Location East Of Locust Grove, 5 Min From I 75 ,Huge Oak Trees,Great Place For Horses.Both Garages Have Water And 220 Power,One Has Septic Tank And Bath Stub Out.Great For Subdivided Family Complex MLS#8567676. Southern Crescent Realty. Leesburg Plantation - Agents Call The Listing Agent Before Showing. MLS#8567605. Gramm Enterprises, Llc. Leesburg Plantation - Captivating Cap Cod Nestled Is Desirable Quaint Neighborhood-Come On In To Loads Of Hardwood Floors, Plantation Shutters Thru Out, Soaring Ceilings, Formal Dr W/Wainscoting &Chair Rail-Great Room W/Soaring Ceilings, Custom Built N Cabinets, Stacked Stone & Gas Starter Fireplace-Kitchen W/Bead Board Walnut Stained Cabinets, Solid Surface Counters, Pantry, Eat Atbar, Stainless & Black Appliances-Master Suite W/Trey Ceiling-Sitting Room Currently Serves As Closet-Gorgeous Master Bath-With Tile Floors, Big Glassed Shower, Dual Sinks, Chandelier & Closet-Split Plan W/2 Guest Bedroom'S & Guest Bath-Walk Out Back & You Will Fall In Love Up'S Oasis, With Private Wooded View-In Ground Salt Water Pool W/Tanning Ledge-Have A Seat At Bar & Watch Deer-Check Out List Of Improvements! 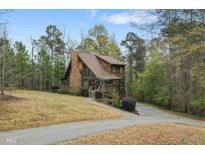 MLS#8567236. Welcome Home Real Estate Group. 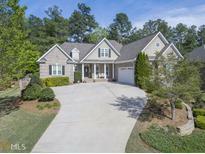 Call Josh Murphy For A Showing 404.925.3875. MLS#8567449. Crye-Leike, Realtors. Eagles Brooke - Home In Pristine Condition! Priced To Sell! MLS#8566586. Chapman Group Realty, Inc..
Eagles Brooke - The Master Is On The Main And Has A Cozy Fireplace Is The Perfect Retreat For A Lazy Sunday Afternoon. MLS#8566084. Berkshire Hathaway Homeservices Georgia Properties. At&T Fiber To Door For Internet! MLS#8566041. Re/Max First Advantage. Links At Heron Bay - The Home Is Situated On A Large Private Lot MLS#8565079. Market South Properties Inc..
Come Home To Heron Bay Golf, Swim And Tennis. Terrific Playground And Walking Trails. MLS#8565689. Keller Williams Rlty Atl. Part. All Appliances Are Staying With The Property. Call Today! 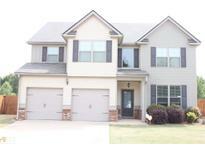 MLS#8565337. Crye-Leike, Realtors. Supra Being Put On Today. Must Make Appointment! 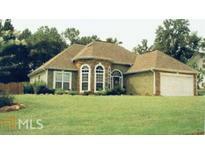 MLS#8565800. Classic Realty Services Llc. This Home Is A Must See And Won'T Last. MLS#8565174. Sold By Social Re Solutions. Use One Of Our Preferred Lenders And Receive $500 Lender Credit. 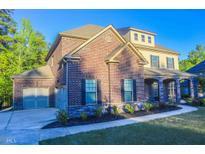 MLS#8564228. Southside, Realtors. 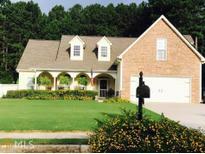 Richmond Park - So Close To Downtown Shops, Restaurants, Ball Fields, Churches & Outlet Mall. This One Won'T Last. MLS#8565018. Keller Williams Rlty Atl. Part. Sold "As Is" No Seller'S Property Disclosure MLS#8564655. Coldwell Banker Bullard Realty. Patio Has Enclosed Powdered Aluminum Fence. Call Agent Only-No Lockbox. MLS#8563758. Heron Bay Realty Inc..
Parkview - Call Agent Or Showingtime To Schedule. MLS#8562608. Southside, Realtors. Links At Heron Bay - Energy Efficient Hard Cell Insulation. Must See! MLS#8561626. Kraft Realty. Just Minutes From Shopping And The Interstate, This House Is A Must See! MLS#8561939. Crossroads Realty Llc. The Master Suite Is Complete With Double Sinks And A Separate Tub And Shower. MLS#8561704. Lgi Homes Realty Llc. The Second Floor Includes A Master Bedroom Suite Complete With A Walk-In Closet And Separate Shower And Tub As Well As Two Additional Bedrooms And A Utility Room. MLS#8561666. Lgi Homes Realty Llc. Main Level: Open The Door To Dark Stained Hardwood Floors, Wide Foyer, Art Niche-Formal Dining Room W/Chair Rail & Crown-Formal Living Room/Office W/Triple Windows-Powder Room-Great Room W/Hardwood Floors, Stacked Stone Fireplace W/Logs-Kitchen With Tile Floors, Bead Board Cabinets, Breakfast Bar, Travertine Back Splash, Granite Counters, Stainless & Black Appliances, Pantry & Bayed Breakfast Room-Upstairs Huge Master Suite W/Trey Ceiling, Master Bath W/Dual Sinks, Garden Tub & Shower-3 Spacious Guest Bedroom'S & Bath-Outback You Have Patio, Deck & Fenced Yard W/Dog Pen-Great Neighbors-Quaint Community Located Near Historic Downtown Locust Grove! 100%/Usda! MLS#8561540. Welcome Home Real Estate Group. Pristine Forest - Please Call For Details, Seller Has Asked For 10 Days Exposure On Mls. MLS#8561922. Remax Southern. Brand New Roof And Newish (3 Yrs) Hvac Unit! MLS#8561062. Southside, Realtors. Exterior Offers A Luxury Deck With A Large, Above Ground Pool, Large Level Lot And Storage Building/ Chicken Coop. This One Won'T Last Long! MLS#8560463. Crowe Realty.